No one knows if they will die suddenly. Lent is a good time to look at our lives, repent, and make the changes we need to make. It’s a good time to work on our prayer lives and to make little offerings to Jesus each day — with joy. 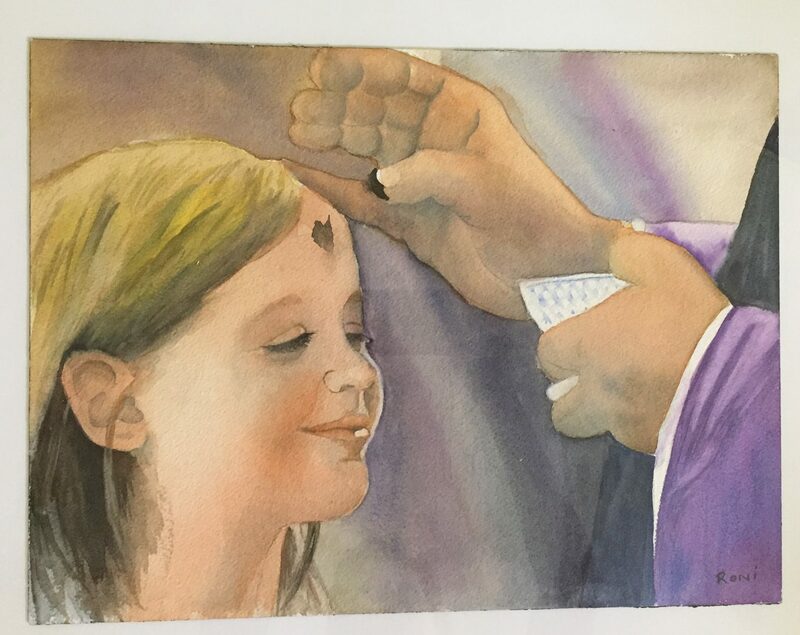 Photo credit: original watercolor painting by Rosemary Hogarty.